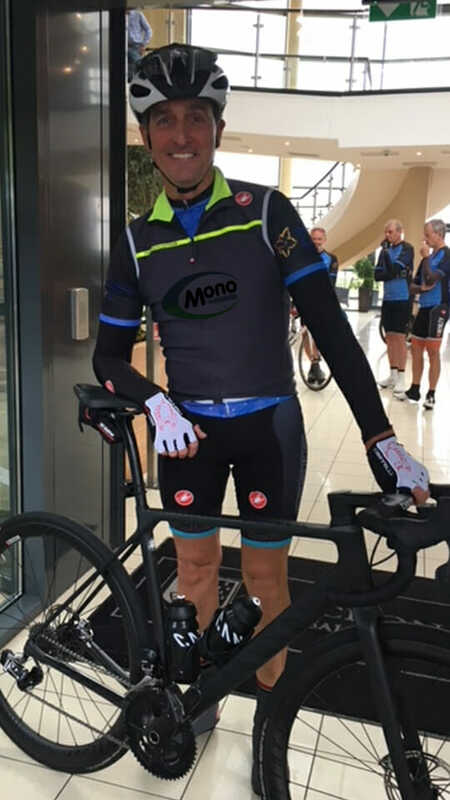 Last week our Installation Manager (Alun Phillips) took part in BT’s charity bike ride in Ireland. The 3 day bike ride spanned across Northern Ireland and was in aid of Cancer Research UK and The Irish Cancer Society. Over 50 employees from BT took part in this including our good friend and colleague – Alun Phillips ( Pictured left) and raised over £16,000 for charity, a fantastic effort by all those that were involved and contributed to this great cause. Its not too late to support the BT team in their endeavours as you can still donate to Aluns Just-Giving page which was set up on behalf of the BT. If you know of any community or charity events taking place in the coming months and you would like Mono fire and Security to get involved, you can contact us at mail@monofireandsecurity.co.uk and we will be happy to discuss any opportunities with you. ← Is your property secure?